Alumini Stones are 2x1" aluminum pocket stones with inspirational words. Come in 16 different words. 3 pack per word. There is a limited quantity available. 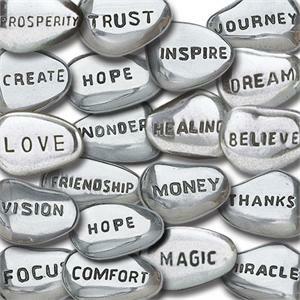 Some words are Create, Success, Magic, Friendship, Inspire, and more.